NASHVILLE, Tenn. (CNS) — As people seek to serve God, they should “concentrate not so much on the job we are doing for him but on his friendship,” Archbishop J. Peter Sartain of Seattle said in his homily for the opening Mass of the 76th Serra International Conference held earlier this summer in Nashville. “It is then that we will be the most effective in our encouragement of vocations, because we will allow the light of God to shine through us,” said Archbishop Sartain, who noted that Serra International was founded in his archdiocese. The conference drew more than 400 people from nearly 10 countries, said Bob Rudman, a vice president of Serra International and one of the organizers of this year’s conference. “It was just a phenomenal success,” said Rudman, a member of the Serra Club of Williamson County in the Diocese of Nashville. 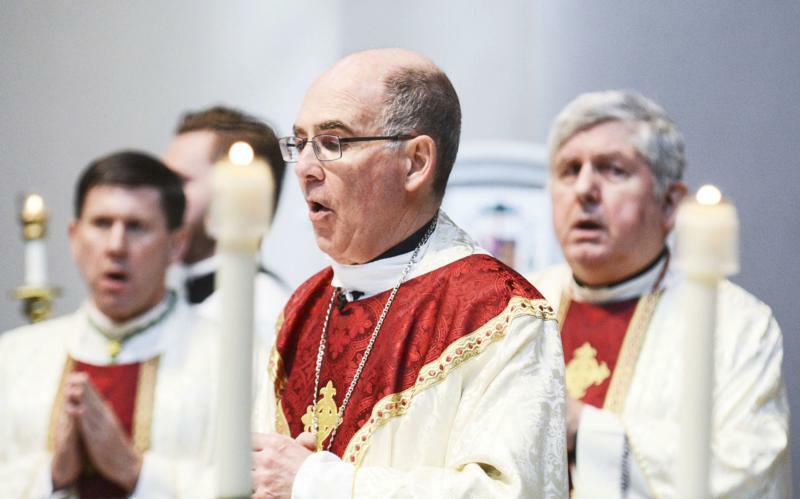 In his homily at the opening Mass at the Cathedral of the Incarnation, Archbishop Sartain spoke of two people who inspired his own vocation: his aunt, Sister Camille, who was a member of the Dominican Sisters of St. Cecilia in Nashville, and Msgr. Patrick Lynch of the archbishop’s hometown of Memphis. During the convention, Cardinal Thomas Collins of Toronto was installed as the organization’s new episcopal adviser, the first from outside the United States. “I’m a great supporter of Serra International,” said Cardinal Collins, who pointed out that the Serra Club in his archdiocese sponsors the Ordinandi Dinner, which draws close to 2,000 people every year and features seminarians talking about their vocation stories. On the same day, the Serra Club also hosts the Ordinandi Luncheon for high school students, he said. Cardinal Collins celebrated the closing Mass for the conference at the Catholic Pastoral Center in Nashville. In his homily, the cardinal said it is important to have a wide perspective on God’s plan for his people and a “laserlike focus” on Jesus Christ. Father Halladay, whose brother Father Phillip Halladay is a priest of the Diocese of Nashville, said of the Army’s 550,000 soldiers, 25 percent are Catholic. But the Army has only 85 priests as chaplains.